It turns out that the Grenfall tower fire may have been caused by Europe’s Global Warming regulations. To fight CO2 climate change, the EU Energy efficiency directive was passed into British law by the Blair Government back in 2010. The directive imposed energy efficiency to be applied to buildings. They were directed to place cladding on the outside of the building which the poor blamed the rich to make the building look better. The wrapping of buildings in the cladding has been done all over the UK and Europe. The Grenfell Tower fire in west London is one of at least half a dozen such fatal fires that have occurred since 2010 involving cladding. The Plasco Building, Tehran, Iran was a 17-story building in January 2017 which collapsed after a fire that started on the ninth floor. 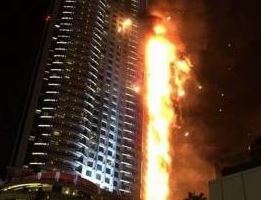 The Address Downtown Dubai Hotel, pictured above, caught fire in December 2015. There the fire broke out on the 20th floor of the 63-story hotel and residential tower. This was the second tallest building in Dubai. Videos posted on social media initially showed a smallish fire above the podium section of the building. However, it then spread very rapidly up the tower in a narrow vertical column on the outside. It never spread very far sideways into the building. 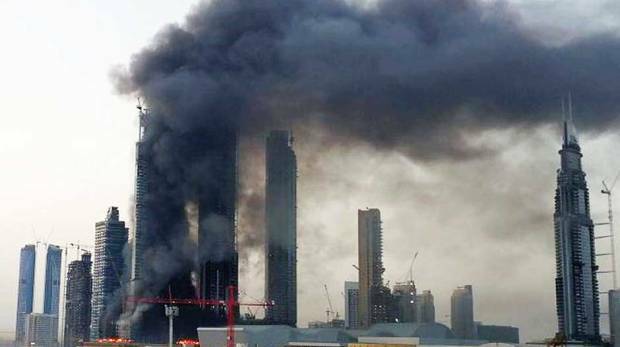 Dubai’s Civil Defense chief, quoted in Gulf News, said the blaze damaged “only the external interface”. It was the outside cladding that the fire traveled on the exterior and straight up. The Residential tower in Baku, Azerbaijan also went up in a blaze during May 2015. this was a 16-story building in the Azerbaijan capital. 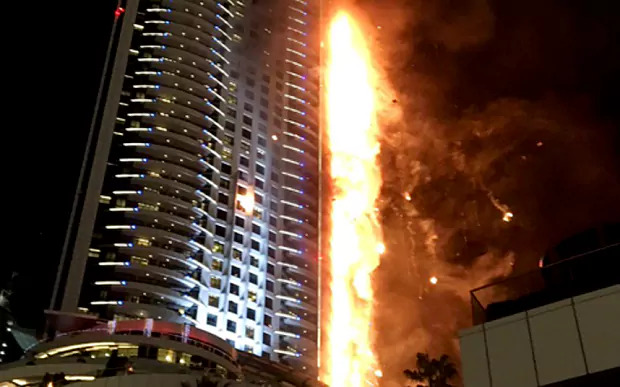 The Grenfell Tower fire was similar to that which took place in Dubai because of this cladding. The question becomes, will government accept the blame for this cladding to lower Co2 that was ordered by Brussels’ Global Warming legislation? The cladding used had passed building regulations and was manufactured in France. So it complied with French law assuming some official in France was not bribed. I would not hold my breath waiting for government to make this connection publicly.